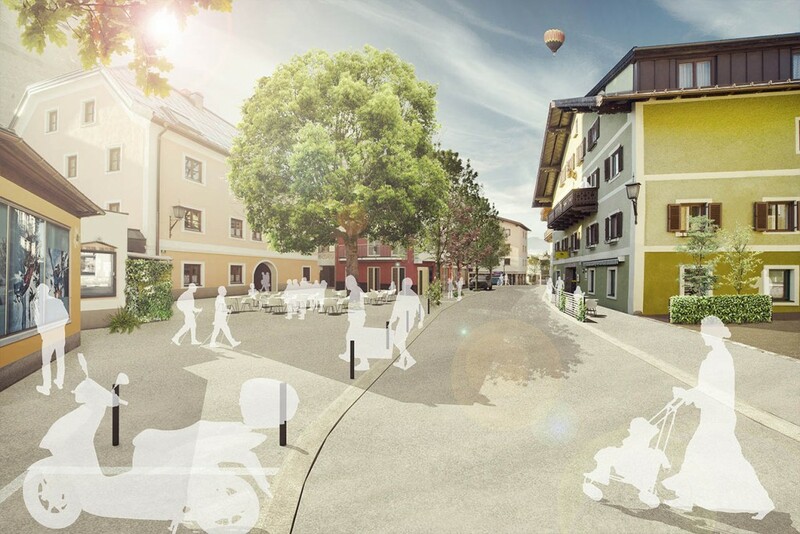 mahore architects were commissioned to elaborate a masterplan for Saalfelden, with focus to city center. A strategy for future development will be defined through an open procedure and a public participation of citizens together with SIR, CIMA, municipal council, city marketing and tourism association. 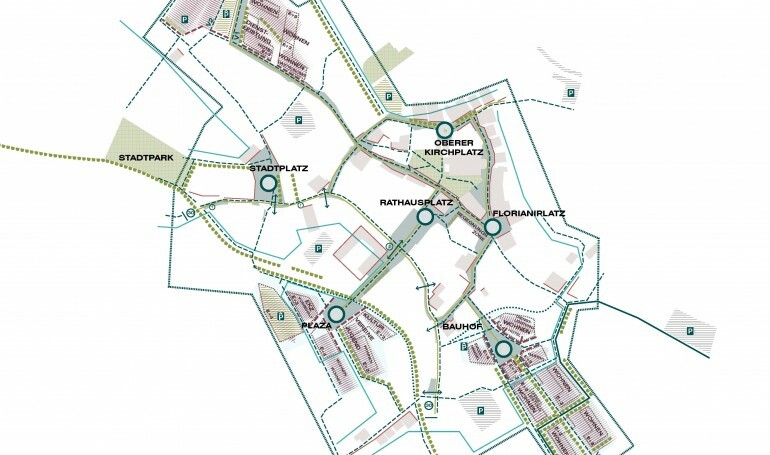 Starting with the analysis of 20ha city center, the masterplan is an integrative overall plan. 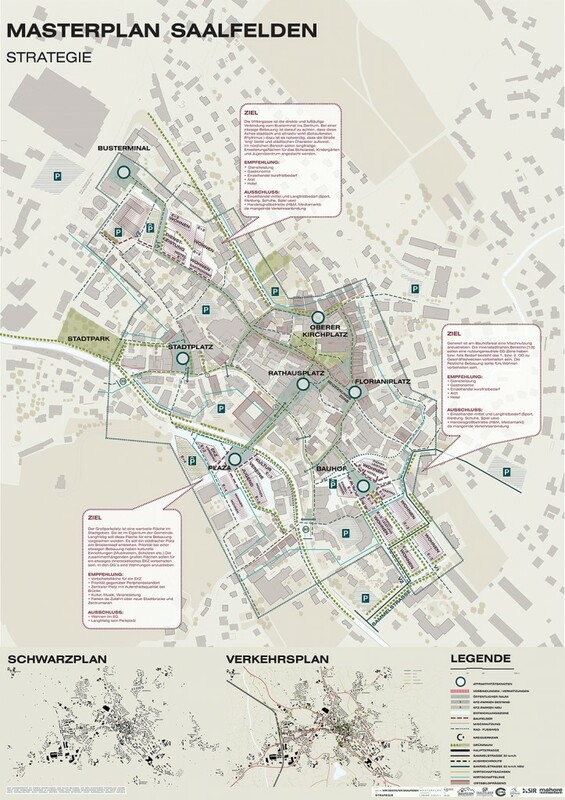 It shows an urbanistic future vision, which gives quantitative and qualitative statements for the urban development that also enables implementation strategies. An important criterion for the quality of the cities we live is to design the development objectives in a conscious way. Measures for this reason are the definition of districts and centres, which will be connected with respective axes, directions and knots or squares. The city life is profits from the development of new attraction knots, connected with the existing ones. The masterplan now provides only the design of critical points, which are the missing links of a continuous „promenade“ up until this day. 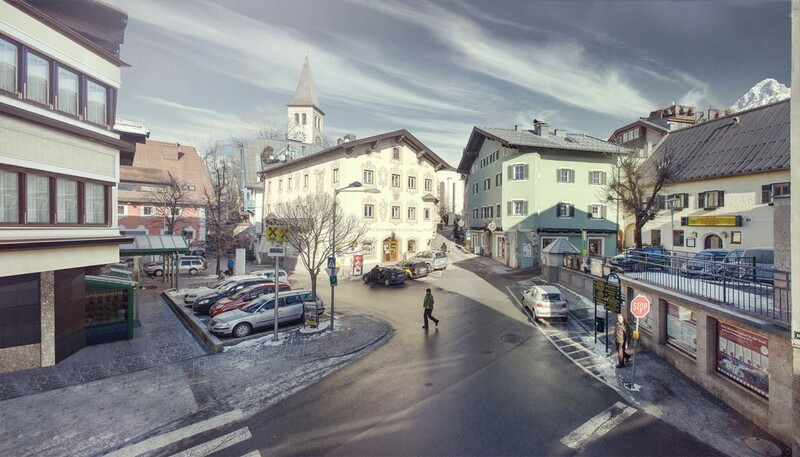 The Florianiplatz is not only a central distribution of all directions from or to the center, but also makes the essential link between the town hall square and the upper market (pedestrian). 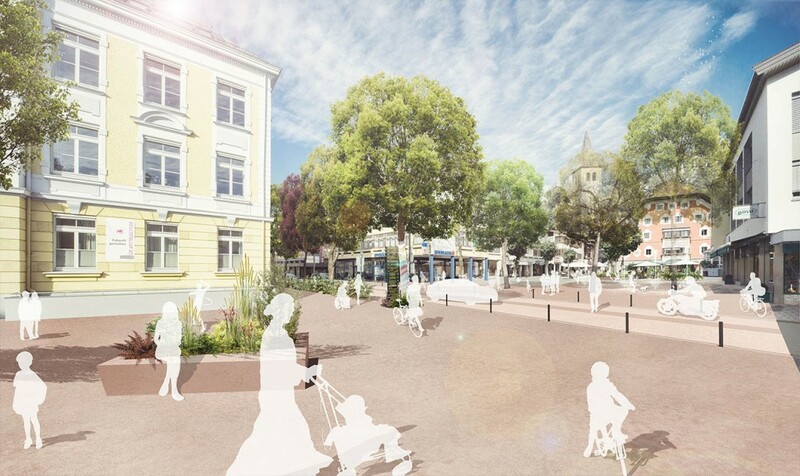 In order to create continuous attractive public space, the design of these missing connections is a top priority. Relationship between the empty space. the unattractive connections and the attraction knots. People strive for spatial identification units to which they belong. 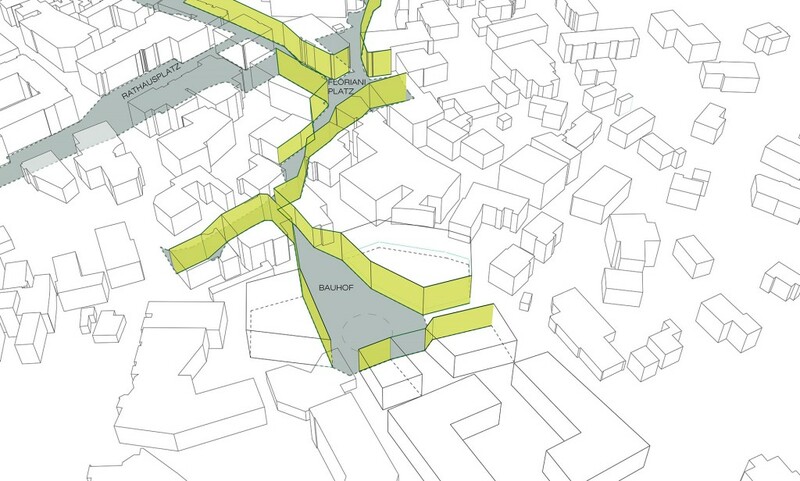 This can be achieved in urban areas, mainly through closed building structures – this creates city. 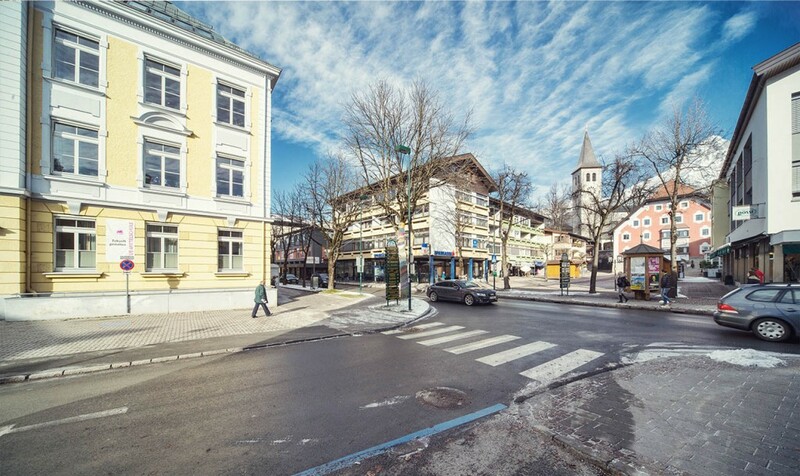 Public space in the city thrives on quality residential areas without pressure to consume. 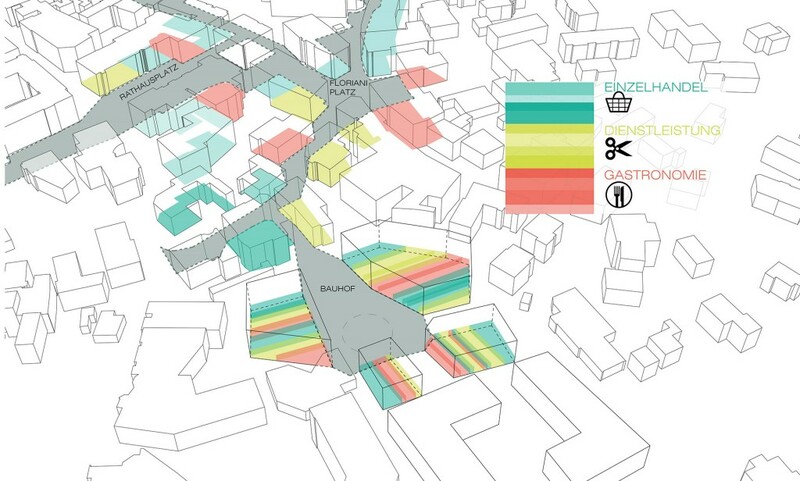 Site-specific and formative view properties such as uniform openings in facades, etc. 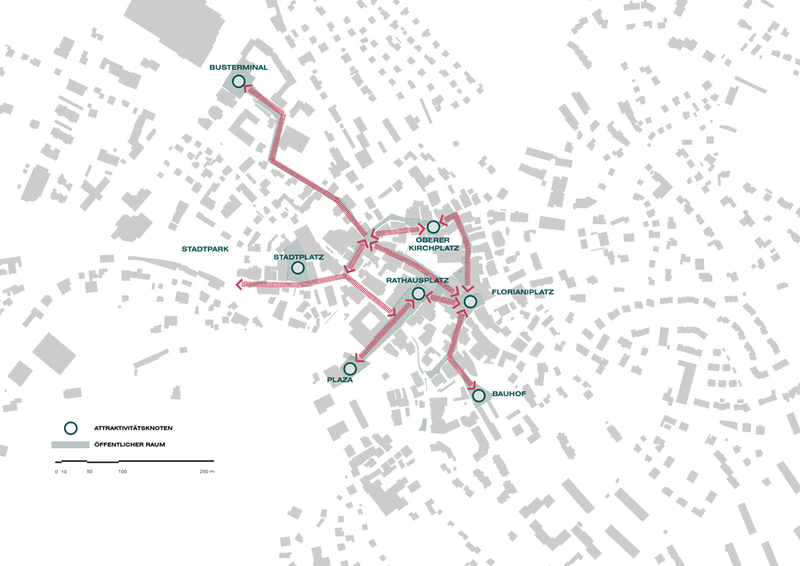 are to support the ensemble with a vertical layout of each building, enhancing the effect of ensemple, taking always into consideration the local environment. 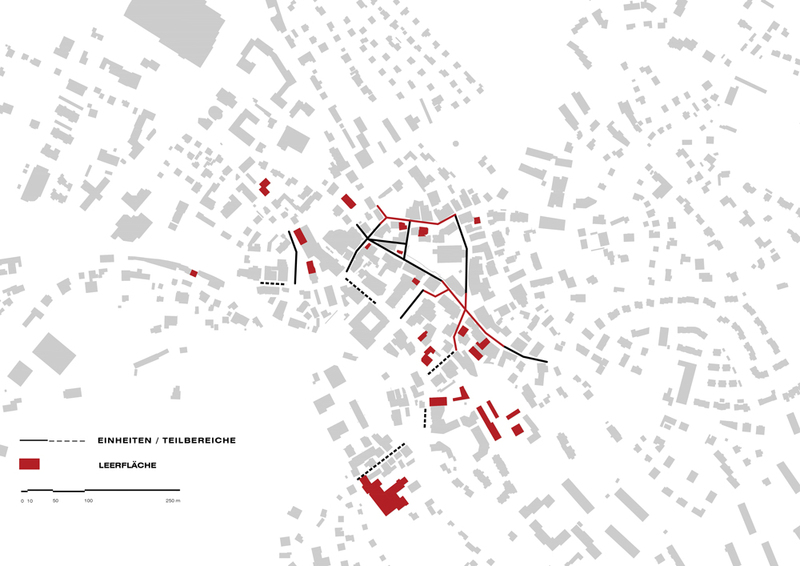 Representation of the closed building structures (houses are built in compact way) and the open structures, where the public space gets lost. The characteristics of the city are continuing. The ensembles arise and the city continually gets constructed and built. 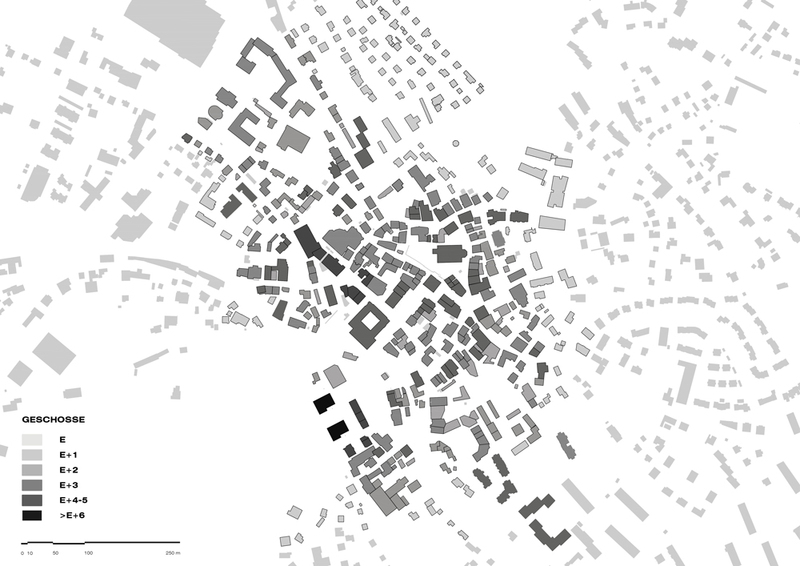 Density plan of the existing city structure, the darker the color is, the higher the buildings are. 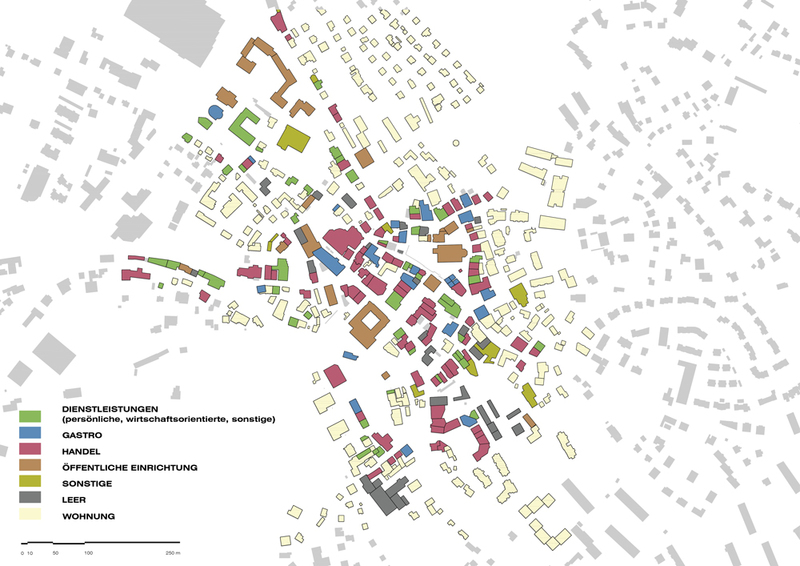 Mixed functions for urban diversity and vitality. Neutral uses in the ground floor can provide different functions. 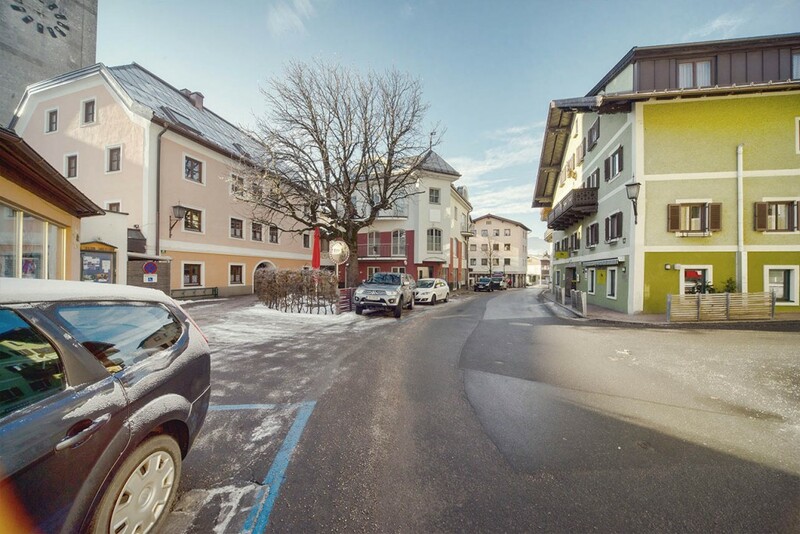 Meeting zone Florianiplatz in Saalfelden: Through the reduction of parking places, the way from town hall to pedestrian street will be more attractive. 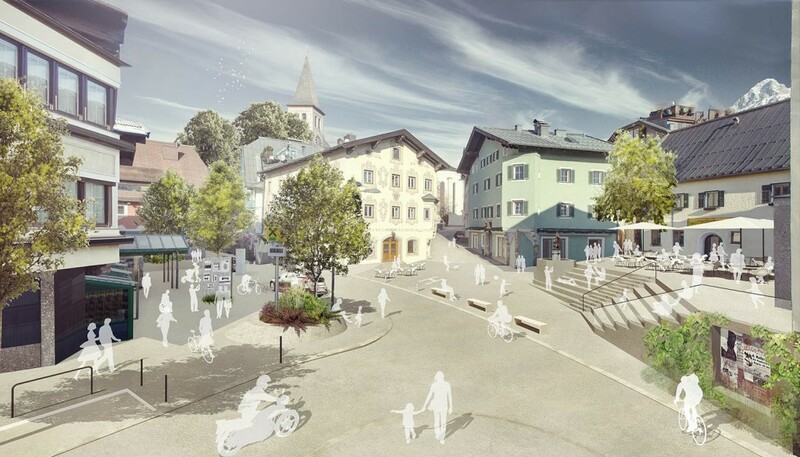 The upper Florianiplatz can be used as a pub garden in the future. Crossing B164 and Mühlbachweg currently. Spacious cross over through the B164 in the town hall area, the zebra lane will be removed and replaced with marked cross lanes.